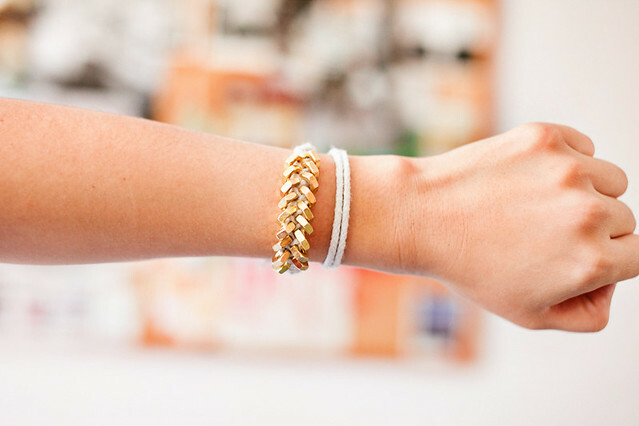 I saw a DIY tutorial for this super awesome braided hex nut bracelet on honestlywtf and just HAD to make it for myself. Didn't quite get the right rope for it, but I made do! love! you're the first person i've seen that has made it!!! was it easy? i want to make one! feeling lazy in the diy department though! dude you should totally do it! it's not too hard, you just have to pull everything really taut while making it. i also wish i could've found a different type of rope. i'm doing alright, kinda overwhelmed with life! how are you? !